Book through Klook to get priority access and save on waiting time with the Klook Exclusive Lane! 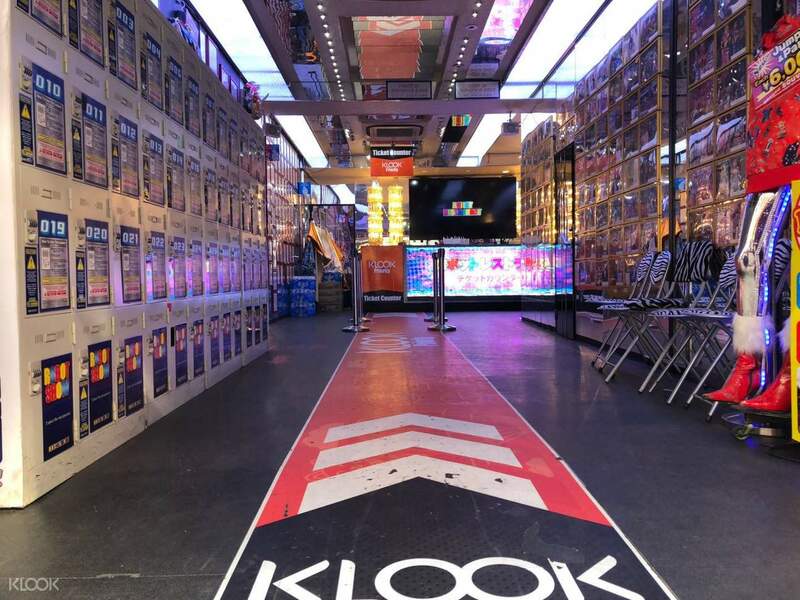 Special Offer for Klook Customers: Get 2 exclusive gifts with the First Performance Offer (4:00pm on specific dates): a JPY800 souvenir and pictures with the robots! Experience high-tech laser displays, multi-colored lights, flash dancers, glittering robots, and more! The best show by a mile. Very energetic. The props were well designed & the music was fantastic. Better than attending a concert as the show is right in front of the seating. 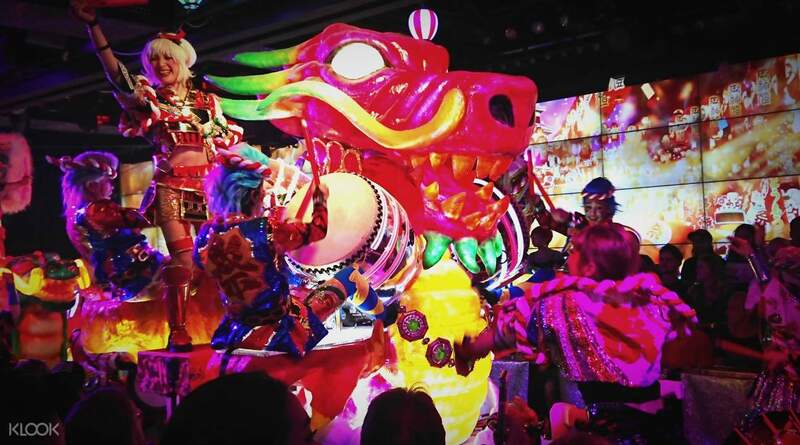 Witness the multi-colored laser lights, flashy dancers, and extravagant robots putting on a show at one of Tokyo's famous themed dining spots. The Shinjuku Robot Restaurant in Tokyo provides a wild, energetic experience that you won't be able to find anywhere else in the world! 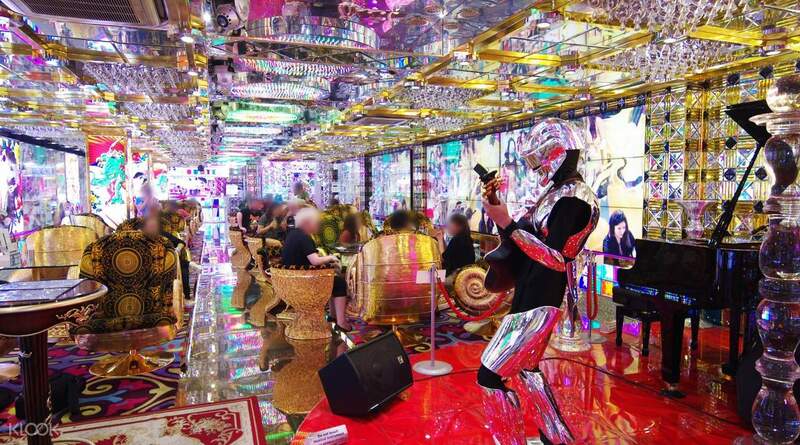 Despite the title, Robot Restaurant is more of a glittery show than a place to eat. You won't understand much of what you watch, but one thing is for sure— there will be non-stop energy and laughter. It is one of the 10 you can’t say you’ve really been to Tokyo until you’ve done some of these! 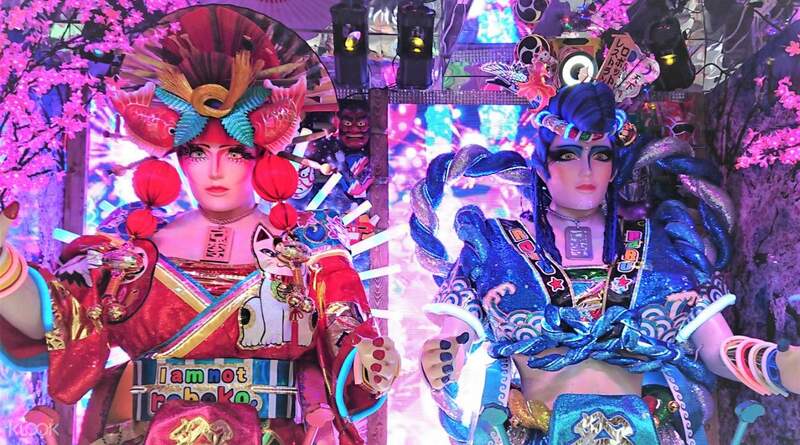 Book your Robot Restaurant tickets and satisfy your craving for a glimpse of Japan's famous bizarre culture. See robots and dancers present a special greeting for you! 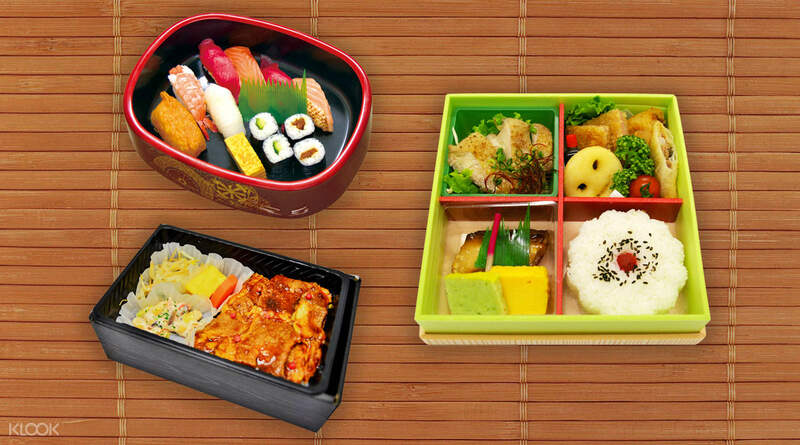 Enjoy a delicious meal when you purchase the package with bento! 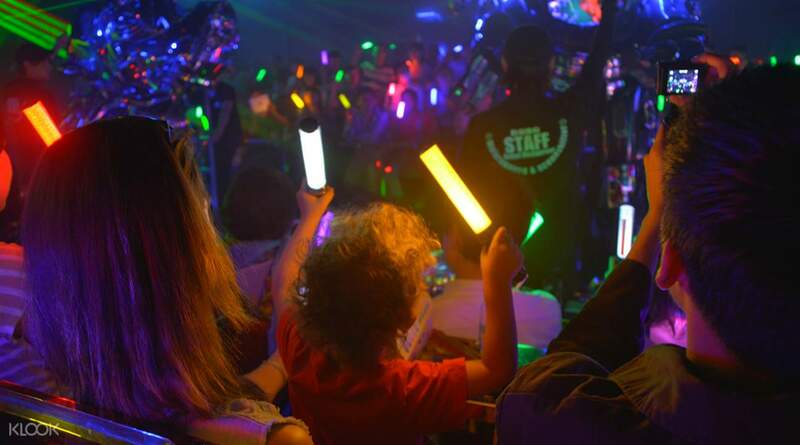 Enjoy priority access to Tokyo's famous Robot Restaurant with the Klook Exclusive Lane! In the back of my mind, I was a bit skeptical about the show. Why would anyone pay this much for a bunch of lights and robots? Let me just say that this show is one of those shows you just have to see for yourself. We went to the 530pm show on a Sunday night. Sure enough, the show was sold out with wanna-to-be ticket holders waiting in a queue in hopes of getting in. My family lined up at 4:15pm across the street from the actual show entrance -we were first in line (430pm entry). When you go to the ticket counter, you exchange your voucher for an actual reserved seat. In our case, we were in the front row middle of the show. Definitely get there early to grab a good seat. When you first go in, you are seated in a brightly colored waiting area with over-the-top furniture, where you can order drinks and food. It definitely had that Vegas feel to it, if you know what I mean. There were a fair number of elementary age children, and almost everyone was a tourist. There’s a little entertainment (singer and band). Though the singer was good, the songs she sang were a bit tired. We waited about 30 minutes and then were herded downstairs for the show. The stage itself is very narrow (maybe 25 feet) and long, with the audience sitting on both sides. The seats themselves are VERY narrow, so if you’re on the very heavy side, you might not fit and/or will be very uncomfortable. So, a bit of warning. With elaborate costumes and gawdy floats, they put on a spectacular show for all ages. The show was a combination of story-telling sets, with the last set being purely dance set. They did have two bathroom breaks, where they also sold drinks and food during the 90 minute show. All in all, for a tourist, it’s a lively, fun, and LOUD show that is worth seeing. I think the best part was that the actors were very engaged with the audience. They smiled and made direct eye contact with us. Working the same show several times a night, every night, I would have thought that the actors would be more aloof, but they were bright, cheery, and engaging! There was even one family with two boys who were celebrating a birthday, and at the beginning of the second set, they said happy birthday and brought out a barrel of popcorn for the kids. Though a small gesture, the boys were overjoyed and the audience loved it. So, yes, it’s a very touristy show. If you have kids, they will love it. If you want a fun and engaging show, go see it - and GET THERE EARLY to get a front seat. In the back of my mind, I was a bit skeptical about the show. Why would anyone pay this much for a bunch of lights and robots? Let me just say that this show is one of those shows you just have to see for yourself. We went to the 530pm show on a Sunday night. Sure enough, the show was sold out with wanna-to-be ticket holders waiting in a queue in hopes of getting in. My family lined up at 4:15pm across the street from the actual show entrance -we were first in line (430pm entry). When you go to the ticket counter, you exchange your voucher for an actual reserved seat. In our case, we were in the front row middle of the show. Definitely get there early to grab a good seat. When you first go in, you are seated in a brightly colored waiting area with over-the-top furniture, where you can order drinks and food. It definitely had that Vegas feel to it, if you know what I mean. There were a fair number of elementary age children, and almost everyone was a tourist. There’s a little entertainment (singer and band). Though the singer was good, the songs she sang were a bit tired. We waited about 30 minutes and then were herded downstairs for the show. The stage itself is very narrow (maybe 25 feet) and long, with the audience sitting on both sides. The seats themselves are VERY narrow, so if you’re on the very heavy side, you might not fit and/or will be very uncomfortable. So, a bit of warning. With elaborate costumes and gawdy floats, they put on a spectacular show for all ages. The show was a combination of story-telling sets, with the last set being purely dance set. They did have two bathroom breaks, where they also sold drinks and food during the 90 minute show. All in all, for a tourist, it’s a lively, fun, and LOUD show that is worth seeing. I think the best part was that the actors were very engaged with the audience. They smiled and made direct eye contact with us. Working the same show several times a night, every night, I would have thought that the actors would be more aloof, but they were bright, cheery, and engaging! There was even one family with two boys who were celebrating a birthday, and at the beginning of the second set, they said happy birthday and brought out a barrel of popcorn for the kids. Though a small gesture, the boys were overjoyed and the audience loved it. So, yes, it’s a very touristy show. If you have kids, they will love it. If you want a fun and engaging show, go see it - and GET THERE EARLY to get a front seat. A must visit experience! Filled with full of energy and lights. KLOOK was the only website that had a reasonable and discounted price compared togrrr re other websites. We went along with a 2year old kid, and honestly is worth every penny! A must visit experience! Filled with full of energy and lights. KLOOK was the only website that had a reasonable and discounted price compared togrrr re other websites. We went along with a 2year old kid, and honestly is worth every penny! Was pleasantly surprised at the KLOOK exclusive lane and saw that people people pre bought their tickets online too. KLOOK’s prices are definitely the best, seems like they’re an official partner of robot restaurant. Show was pretty whacky and random, in typical Japanese culture and humor. Expect robots fighting dinosaurs and all sorts of weird geeky stuff and references. Was pleasantly surprised at the KLOOK exclusive lane and saw that people people pre bought their tickets online too. KLOOK’s prices are definitely the best, seems like they’re an official partner of robot restaurant. Show was pretty whacky and random, in typical Japanese culture and humor. Expect robots fighting dinosaurs and all sorts of weird geeky stuff and references. Crazy is one word to describe the experience. But this is not a negative connotation about the program. In fact in the end of the show it will be a mind blowing CRAZY EXPERIENCE as you get to be entertained with lights, drums, music and special effects. And to top it all out is the electronic display of their robots and how they can maneuver it through a small platform. I also am amused with their pre program entertainment as you will be held in a separate holding area where you can have drinks and food. Crazy is one word to describe the experience. But this is not a negative connotation about the program. In fact in the end of the show it will be a mind blowing CRAZY EXPERIENCE as you get to be entertained with lights, drums, music and special effects. And to top it all out is the electronic display of their robots and how they can maneuver it through a small platform. I also am amused with their pre program entertainment as you will be held in a separate holding area where you can have drinks and food. Klook was the best price around for Robot Restaurant tickets. My brother really wanted to see the show. It’s definitely an experience that can leave you saying “what just happened.” Think of it more like a mix of a parade, people in costume, and some animatronics rather than imagining it as all robots. The lounge before the show serves drinks and has people dressed as robots playing live music. It’s a funky mix of electronic, gaudy, and costumes. Even if you’re not into this kind of thing, when in Japan, if you can get the offer through Klook rate, go for it. Then you can say you’ve done it. Eat before or after, though. There are very few options for food. Klook was the best price around for Robot Restaurant tickets. My brother really wanted to see the show. It’s definitely an experience that can leave you saying “what just happened.” Think of it more like a mix of a parade, people in costume, and some animatronics rather than imagining it as all robots. The lounge before the show serves drinks and has people dressed as robots playing live music. It’s a funky mix of electronic, gaudy, and costumes. Even if you’re not into this kind of thing, when in Japan, if you can get the offer through Klook rate, go for it. Then you can say you’ve done it. Eat before or after, though. There are very few options for food. It was one of the craziest, whackiest, and most entertaining shows I have ever seen in my life. Definitely a steal through Klook, and would recommend it to anyone who's looking to have a lot of unorthodox fun! It was one of the craziest, whackiest, and most entertaining shows I have ever seen in my life. Definitely a steal through Klook, and would recommend it to anyone who's looking to have a lot of unorthodox fun! Brilliant fun. Started off in a bar area with a robot band playing classic pop songs including Cyndi Lauder, Madonna etc... we were then moved from the bar to the even area in the basement of the building. The entire experience was futuristic from the decorations on the walls to seating and arena area. The show lasted about 90 minutes. Included action scenes, music scenes and lots of colour, dancing and robots. Brilliant fun. Started off in a bar area with a robot band playing classic pop songs including Cyndi Lauder, Madonna etc... we were then moved from the bar to the even area in the basement of the building. The entire experience was futuristic from the decorations on the walls to seating and arena area. The show lasted about 90 minutes. Included action scenes, music scenes and lots of colour, dancing and robots. Insanely cool and so much fun! I've seen so many videos of the robot restaurant that I thought I knew what to expect, but I didn't! I was blown away! Truly nothing beats seeing it with your own eyes. Just try not to blink, because you might miss something, there's so much going on non-stop! I've been to Japan three times and never pulled the trigger on going to the robot restaurant, but this time I finally went with friends and it was a super unique and fun experience. I highly recommend it! Insanely cool and so much fun! I've seen so many videos of the robot restaurant that I thought I knew what to expect, but I didn't! I was blown away! Truly nothing beats seeing it with your own eyes. Just try not to blink, because you might miss something, there's so much going on non-stop! I've been to Japan three times and never pulled the trigger on going to the robot restaurant, but this time I finally went with friends and it was a super unique and fun experience. I highly recommend it! great experience! 3 different story line that will excite you. lights are good. ambience is good. design of the whole place is good. staff are friendly and helpful. while taking photo, the dancers will pose for you looking into your camera. totally worth it. will go again when we visit Japan again. great experience! 3 different story line that will excite you. lights are good. ambience is good. design of the whole place is good. staff are friendly and helpful. while taking photo, the dancers will pose for you looking into your camera. totally worth it. will go again when we visit Japan again. Q: Do children need an admission ticket?